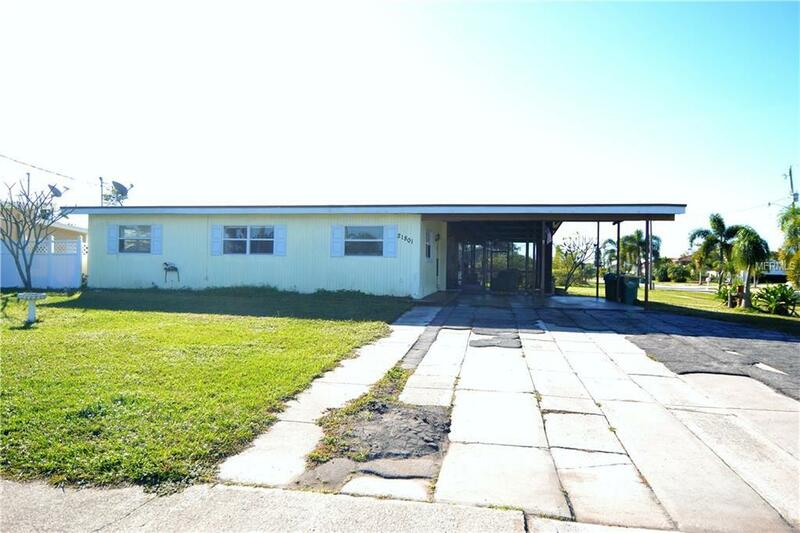 Prefect opportunity to own this 4-bedroom, 2-bathroom home located on a corner lot in Port Charlotte. Home has 1,794 square feet of living space with a size-able backyard that has plenty of room to add a pool and partial views of the canal. 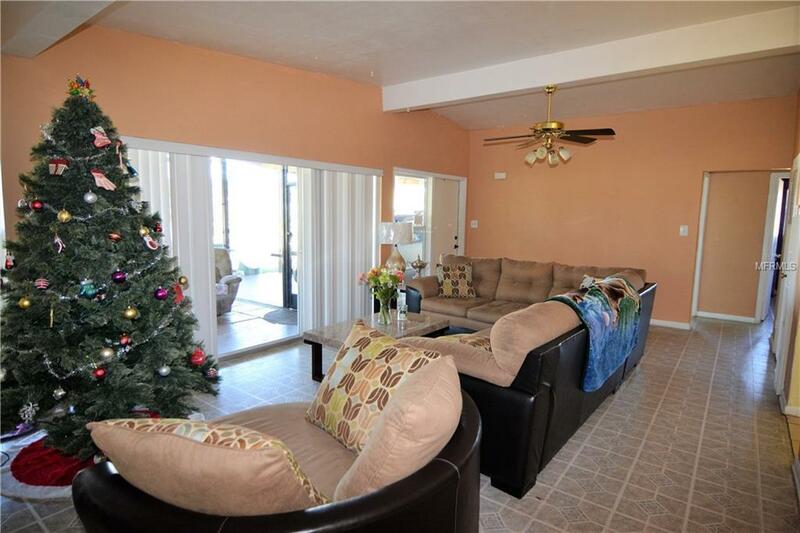 Home is tiled throughout and has a newly installed A/C unit. Kitchen has breakfast nook, stainless steel appliances (except stove) plenty of cabinet and counter space and skylight to let in the natural light. 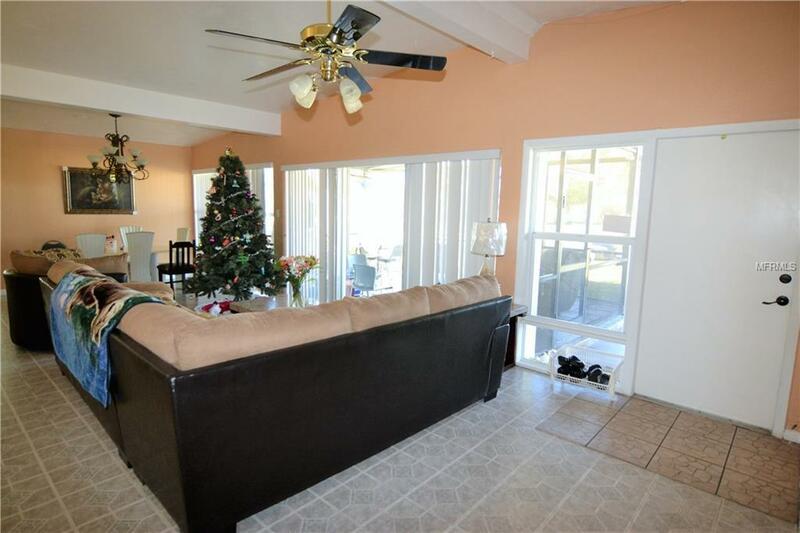 Entertain in your living/dinning room area with high ceilings, and sliders out to a screened in lanai area. There is also an additional great room with lots of windows to let in the natural light. Master bedroom with his and her closet space and full bath. Three other large size bedrooms or use one as your office/den space. 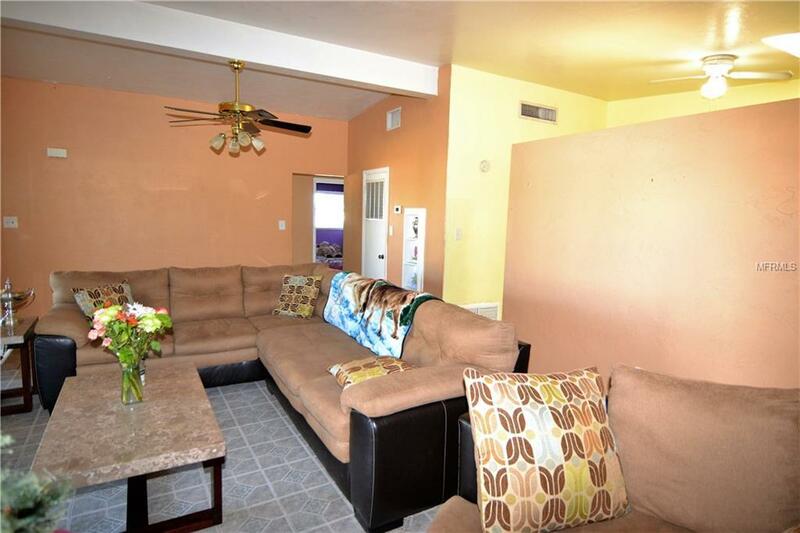 All three with plenty of closet space one with large walk-in closet, ceiling fans and an additional full bathroom. Laundry room with an abundance of storage space and door leading to the backyard with storage shed for all your outdoor tools. The driveway has carport for two cars is wide for extra parking and space for boat or RV. Very close to Charlotte Harbor and downtown Punta Gorda. Just a couple miles away is a fishing pier, community boat launch, volleyball court, playground, community pool and tennis courts. Easy access to the interstate and major thoroughfares to get you around town. Perfect starter home or great investment property.